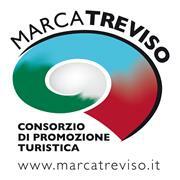 Marca Treviso Tourist Promotion Board aims to support the visitor to find the most suitable itinerary and accommodation in the province of Treviso. With a view to Expo, Marca Treviso suggests customized themed routes and formative activities that will enable the visitor to experience the Garden of Venice, a small jewel of art and beauty where he will get fascinated by medieval burgs, venetian villas and breathtaking landscapes and will be delighted with prestigious local wines and culinary specialties. Marca Treviso is able to provide useful information in terms of overnights and other related services even if the visitor want to attend special events in the province of Treviso (exhibitions, sport competitions, etc. ), by providing assistance with the search and reservation (even directly online from our website) of themed packages and excursions, or even only accommodation, guided tours, green fees, transfer services, etc.